New Jersey Property Tax Appeal Reminder – During the next several weeks, New Jersey real property taxpayers will receive their annual (property tax) green postcards indicating 2018 assessments. The period to file a challenge to a 2018 assessment runs from February 1 to April 1, 2018. The April 1 deadline may, however, be adjusted to the later date of 45 days from the bulk mailing of the green postcards and in municipalities where there is a revaluation, the deadline may be May 1, 2018. It is the amount of the assessment – not the property tax amount – that can be challenged. A taxpayer may be entitled to a reduction if the assessment (after applying the municipality’s equalization ratio) is more than 15 percent higher than the fair-market value as of the valuation date: October 1, 2017. A prerequisite to filing an appeal is the payment of all property taxes and other municipal charges through the first quarter of 2018. Failure to respond to a property tax assessor’s prior request for income and expense information (known as Chapter 91 requests) makes a property tax appeal subject to dismissal, regardless of the appeal’s merits. 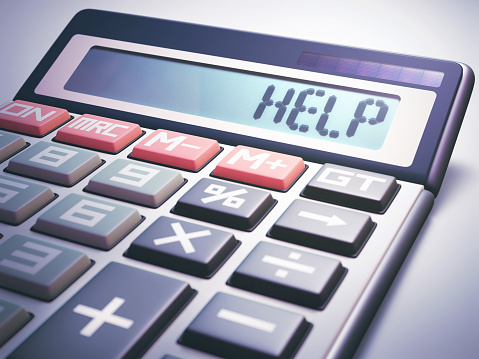 Assessments greater than $1,000,000 may be challenged directly with the Tax Court of New Jersey or filed with the applicable County Board of Taxation. We are available to review the assessments and property tax exemptions of New Jersey retail, office, industrial and commercial properties. WCRE is a full-service commercial real estate brokerage and advisory firm specializing in office, retail, medical, industrial, and investment properties in Southern New Jersey and the Philadelphia region. We provide a complete range of real estate services to commercial landlords, tenants, investors, developers, banks, commercial loan servicers and companies, guided by our total commitment to our clients and our community. Our team is devoted to building successful relationships, and we provide each client the highest levels of responsiveness, attention to detail, and communication even after the transaction is complete. In 2014, 2015 and 2016, WCRE was selected by CoStar Group, Inc. (NASDAQ: CSGP), the leading provider of commercial real estate information, analytics and online marketplaces, to receive a CoStar Power Broker TM Award. This annual award recognizes the “best of the best” in commercial real estate brokerage by highlighting the firms and individual brokers who closed the highest transaction volumes in commercial property sales or leases within their respective markets. WCRE received the Top Brokerage Firm award for their region. Our rapid growth is proof that our approach works. We now oversee more than 175 properties comprising 3.9 million square feet under our exclusive representation and management. But while these numbers are impressive, we know that numbers are only part of our story. We are even more proud to have built a company that has become an indispensable part of our community and earned the trust of many of the most influential players in our region.